Charing Cross ring in lemon topaz by Julie Vos. I love the green tones in this stone. If you need a little something sparkly in your life to get you through this harsh winter, head over—quickly!—to the Julie Vos sample sale, going on now, where they are offering an extra 25% off already reduced prices with the code EXTRA25 at checkout. 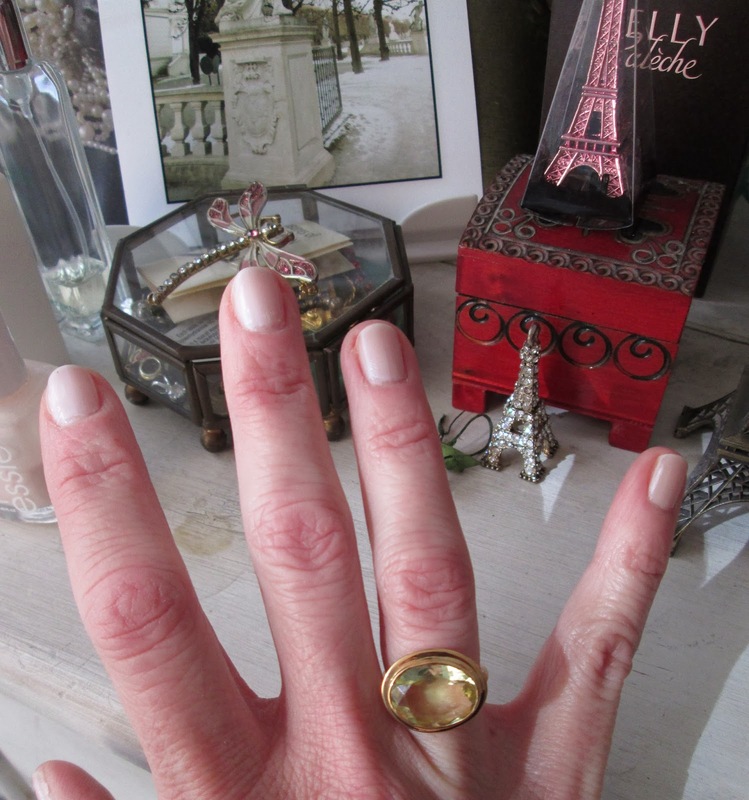 I just picked up this gorgeous Charing Cross ring in lemon topaz, which I love. I will wear this now and into the summer! The perfect size cocktail ring! I see they even have the Corsica Stacking rings I have written about in the past for sale, now $28 each (and that’s before the extra 25% off). What a deal! Corsica Stacking Rings in moonstone, aqua chalcedony, and labradorite. I picked up the matching Corsica pendant because it just seems so summery and wonderful. Unfortunately that is now sold out but there are other beautiful necklaces, rings, bracelets, and earrings to be had, for a fraction of their original prices. The sale only goes until tomorrow, Wednesday, February 19, 2014, at 9AM so hurry and check everything out today! 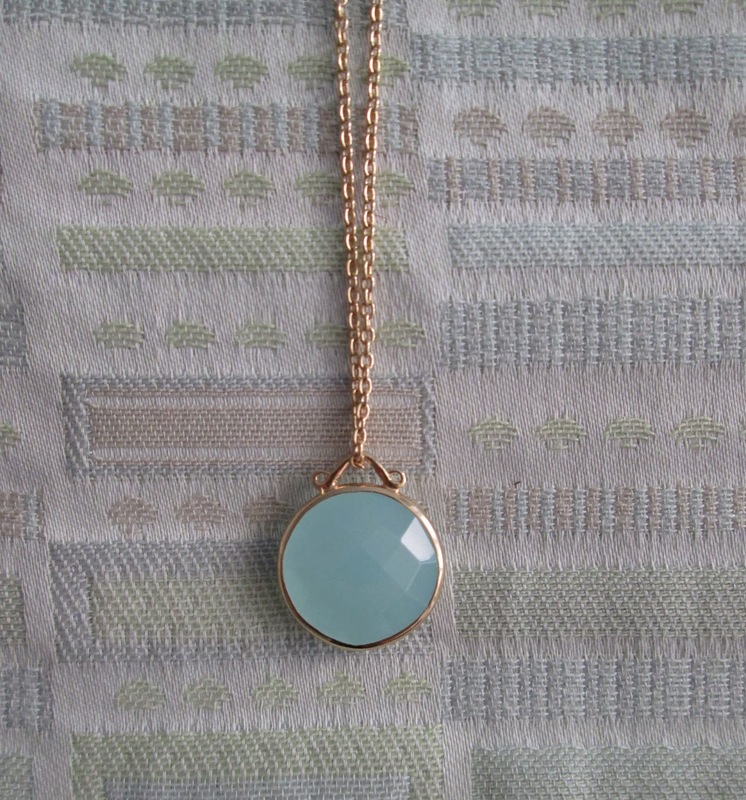 Corsica pendant in aqua chalcedony. I am a big fan of Julie Vos jewelry—it’s glamorous, budget-friendly, and fun. The company is also based right here in New York City so for me, it’s shopping local, which I always love to do. Oh such pretty choices, I am heading over to her site as soon as I comment here. Thank you Jill ! So many pretty things and the prices are unbelievable! I think I might want to add one of her gorgeous pieces to my jewelry drawer. A lady can never have enough jewellery, right? Hope your winter is getting milder? Love the stacking rings, particularly for the choice of stones. Such great quality ... wish my budget were up to a sale right now. Beautiful to see, though, and still a treat! Hi Jill! I'm catching up after being on winter vacation. I am loving the Julie Vos jewelry on you. Does she have a boutique in the village by chance? I feel like I stopped in there on a recent trip. Gorgeous pieces and you scored girlfriend!